Robots have been technology’s favourite child since they became widespread many moons ago. Since then robots have been used extensively across different industries and areas, and space research is one prominent area among them. If it weren’t for the robots, space research today would not have flourished the way it has. From Sputnik circling around Earth’s atmosphere in 1957 to the Atlantis shuttle bringing the astronauts back home, robots have helped in exploring the endless possibilities in space technology. As they continue to evolve, they are still at the forefront of space exploration. In fact, many scientists are of the opinion that robots could unveil the next best breakthrough in the domain of space research and not the humans. Robots are sent into the vast abyss of the space where the environment is considered to be too hostile for humans to thrive. Robots are often preferred even more than their human counterparts because, it’s a lot convenient to have a robot carry out tasks that are too risky or complicated, time-consuming or even impossible for the astronauts. Also, in most cases, they tend to be faster and more accurate than people. Possibly the biggest advantage of all would be that unlike humans, they don’t need food, air or drink to survive. The robots must withstand the launch. They must weigh as little as possible, as having a certain mass could hamper the process of launch. The robots must have a compact design, use minimal power, and have a long operational life. To address these requirements, there’s a need for more advanced technology and more complex systems. Now, in order to carry out the autonomous space investigations, they must be able to recognize and categorize features of interest. In some cases, these features can be determined ahead of time. For instance, Earth orbiters assess the collected images to identify any unusual but significant activity or events, like floods, volcanic eruptions, or fires. The robots use machine-learning classifiers to decipher the difference between water, snow, and ice to monitor the seasonal changes in Arctic regions. There are various limitations when it comes to conducting space missions with robots. The extreme low-pressure in orbit result in the metal parts to cold-weld together, and the atomic oxygen reacts with almost any material and invalidate the cooling benefits of convection for electronics. The radiation is also different from what is generally observed on Earth. In space, heavy particles tend to make digital electronics malfunction or even burn. Thermal conditions also tend to be unfavourable. “Another concern that often looms over these space missions is that robots have to operate far away from their base. So the radio signals to monitor and regulate them have to course through a great distance and this causes delays in communication and also restrict the real-time or near-real-time teleoperation”, says Farooq Zardari, a space exploration enthusiast who works as an expert on VAT in UAE. So it’s imperative that space robots should be able to operate on their own and cope with any issues that takes place while performing the operations. 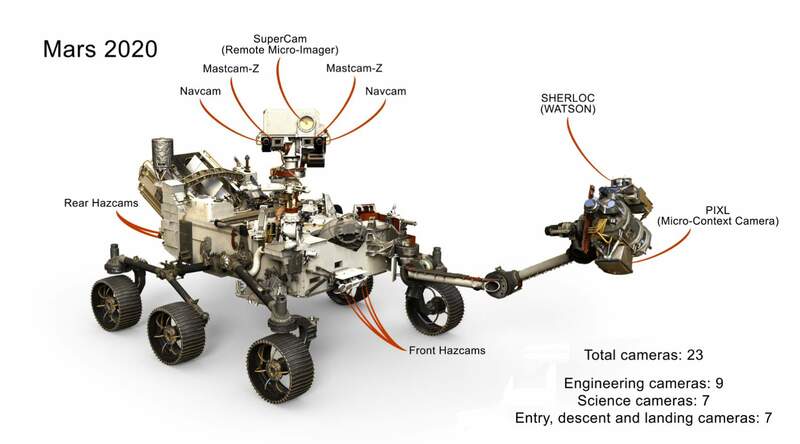 Mars 2020: the next robotic Mars rover of NASA’s Mars Exploration Program. The space robots can be of diverse mechanisms, and they work automatically or are controlled by the researchers on the space stations. Every space robot comes with the controller, the actuators, the sensors, the power supply, and the radio communications. The sensors are instrumental in offering the information about the robot, and its surroundings. There are controllers that collect these relevant details from the sensors. The ground control provides commands through radio, and it transmits the command signals to the actuators which transform the command into actions. The robotic spacecrafts are often under telerobotic control, known as space probes. They are designed and developed to make the scientific research smoother. The space probes are capable of charting the places which cannot be otherwise accessed by astronauts. These robots can function in the vacuum of the space, and come with the ability to resist the exposure to the extremes of temperature and the radiation. In addition, these robots can perform the programmed tasks over the course of a prolonged period without requiring the direct human supervision. In recent times, with the evolution of robotics technology, the space scientists are now exploring the use of humanoid robots. In this case, NASA and other space research centres have already developed robots to help accomplish many operations in space. The advancement of robotics technology has paved the way for many innovations in the realm of space research. This has not only made the process of space exploration more efficient but also convinced the general populace about the possibility of colonizing distant planets like Mars. Now, there are many specimens of space robots that are exploring our solar system, including satellites, rovers, and space probes, but here are some examples of the humanoid robots that are carrying out the essential operations. Valkyrie, also called R5, was developed in only nine months and was originally intended for a competition in the DARPA (Defense Advanced Research Projects Agency) Robotics Challenge in 2011. The robot was designed to perform functions like picking up debris, drive a vehicle or cutting through a wall. The initial objective of the project was to help with the disaster response and search-and-rescue missions. The prototype had the same height as an average human but was on the heavier side in weight (287 pounds). A suite of cameras allowed it to walk upright, while a backpack enabled it to wander around and stay active without the need to remain plugged into a power source. The team of robots behind this humanoid opined that the objective of using a human-like structure was that it would be able to traverse through difficult terrains, like on Mars, and could evaluate samples like rocks with ease. Robonaut was again developed in collaboration with the DARPA. Although Robonaut 1 was never intended for space exploration, NASA examined the technology on the ground before creating its successor, Robonaut 2, in 2011. The objective of Robonaut 2 is to take on some of the complex tasks that astronauts carry out on the station, like flipping the switches and twisting the levers. It has even been used to test telemedicine, a form of clinical healthcare offered from a distance through telecommunication. The Robonaut 2 presently has been upgraded to include special climbing manipulators (legs) to hold its own on the surfaces, and also comes with better processors and sensors than those used for Robonaut 1. 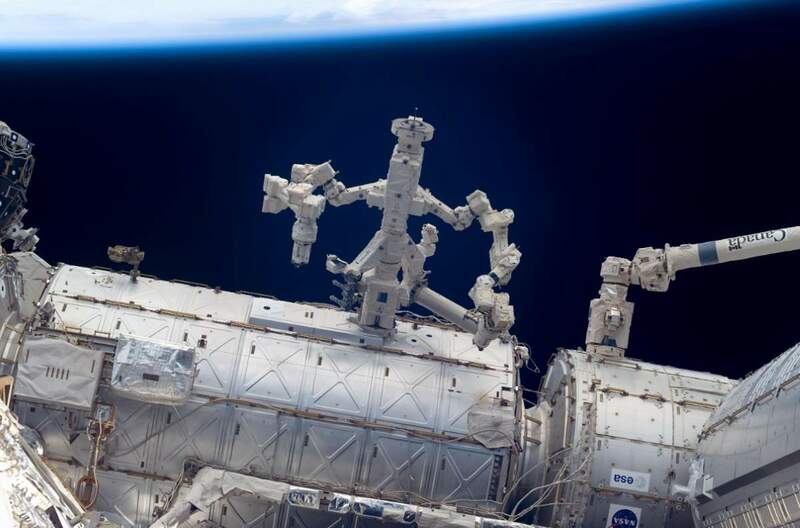 Even though Dextre doesn’t really have human-like exterior features, but the robot does a lot of valuable work on the exterior of the International Space Station. Since its launch, Dextre has been used for satellite refuelling tests, which could help in maximizing the life of satellites in the future. The robot is also utilized for routine maintenance on the orbiting complex. Moreover, it performs tasks like replacing cameras or batteries. The long-term objective of Dextre is to minimize the intervention of the astronauts to do spacewalks, which are some of the riskiest activities astronauts have to perform. Having Dextre on board also decreases the time astronauts spend, since operators on the ground can regulate it remotely. Japan’s Kirobo was a mini-astronaut robot that was launched on the International Space Station in 2013. The robot was 34 centimetres tall, was utilized to assess the human-robot interaction in space as part of the Kibo Robot Project. Kirobo and its Earth-bound twin, Mirata, were developed at the University of Tokyo’s Research Center for Advanced Science and Technology. Other than the function of communicating, these robots could identify voices, faces, and emotions. Germany’s AILA robot is intended to enhance the implementation of artificial intelligence in space. Controllers can move AILA using a custom mouse or Microsoft Kinect technology (which was used in the Xbox One video game consoles and Xbox 360). The robot can imitate motion by registering what humans do, examine the movements in small sections and then use the library of information to make new moves. This kind of technology might be helpful in the domain of space research and many other domains. AILA has received funding through multiple projects since then. The German Research Center for Artificial Intelligence also has dedicated a page about AILA on its website. RoboSimian resembles an ape more than a human in terms of its structure, but irrespective of its classification it’s an extremely powerful machine. The robot is capable of mapping its environment in 3D with the help of lidar technology. It’s extremely durable and can course through tough terrain and carry out tasks that require dexterity. RoboSimian’s impressive dexterity could also be useful in disaster management efforts, according to NASA. With four functional limbs, the robot can support itself with ease on coarse surfaces and can climb on ladders, stair treads or railings. The robot’s ability to see in 3D, along with its enhanced mobility, minimizes its risk of falling over, which is a common problem with two-legged robots. Robots can definitely be a worthy alternative to humans in case of deep space exploration. With the rapid advancements in space research, conducting unmanned expeditions to space would be even more convenient. Author Bio: Harry Jonson is a professional tax advisor in Dubai, and is working for Uaevatexpert.ae for a year now. He has received his degree from the University of Dubai. Apart from his professional commitments, he also harbours a keen interest in robotics and space research.